Traffolyte fascia panels are becoming a common sight in most control panels. But what exactly is unique about these panels? This post offers an in-depth answer to this question. It explains why Traffolyte has for years remained the most recommended material to be used in electrical control panels and labels. Today, this name has become a generic name for sandwiched phenolic plastics. However, it was originally the brand name of the first company to produce this special plastic. Traffolyte is a three layered material made up of the core and two layers. When engraved, the two layers reveal the core in a manner that captivates the attention of passers-by. The Traffolyte engraving can be done manually, by hand, or using a machine. To make Traffolyte, two phenolic plastics with contrasting colours are sandwiched together. Phenolic plastics are the products of reacting formaldehyde with carbolic avid (phenol). The detail of the entire process is a scope too wide to be covered in this article. Nevertheless, it’s worth pointing out that the process is risky for human health. Therefore, it is carried out in adequately protected places with appropriate PPEs, personal protective equipment. Traffolyte has excellent insulation properties. Hence, it is most preferred as an electrical equipment laminate. The first company to use this material designed it for labelling their electrical transformers. That was in 1927. Besides their electrical insulation properties, the material is very durable especially after being engraved. It is no doubt that this material has been in use for decades now. Labelling metallic parts of electrical equipment is its primary purpose for reasons that are now apparent. Besides the poor electrical conductivity, they also have high thermal insulation. Hence, cannot melt when the temperature of the material rises. 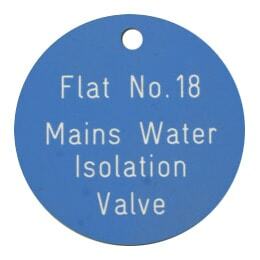 It is suitable for industrial control panel labelling because it is resistant to chemicals and solvents. Even more, it cannot be corroded with acids and is hard to ignite. All these properties make it suitable for use in an industrial set up. While there are several options for metal engravings and engraving products, Traffolyte labels and signs stands out in terms of quality, durability, and safety. They are easy to disinfect and clean as hot water or steam is sufficient. Engraving different colours in the laminate also ensures that the letters do not come off, a feature that is common in painted labels and common metal engravings. This entry was posted in Able News and tagged engraving, facia. panels, labels, metal, signs, Traffolyte on 29th January 2018 by admin.